Ultrasound Therapy is a medical test that helps our physicians diagnose and treat medical conditions. Ultrasound therapy is a form of treatment that uses high-energy sound waves to treat painful conditions and to promote tissue healing. The ultrasound is usually painless. Ultrasound therapy may not be effective for all pain conditions, but it may be used to reduce pain if you have osteoarthritis, plantar fasciitis, tendonitis, sprains, or strains. Vascular Ultrasound – provides pictures of the body’s veins and arteries. Cardiac Ultrasound – also called an echo-cardiogram, uses sound waves called ultrasound to look at the size, shape, and motion of the heart. If you are in need of an ultrasound, we have the technology and services to guide you through the process, all within our facility, no need to go anywhere else. 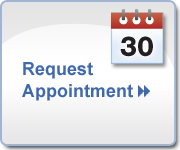 Give us a call to schedule an appointment or get more information about our services.